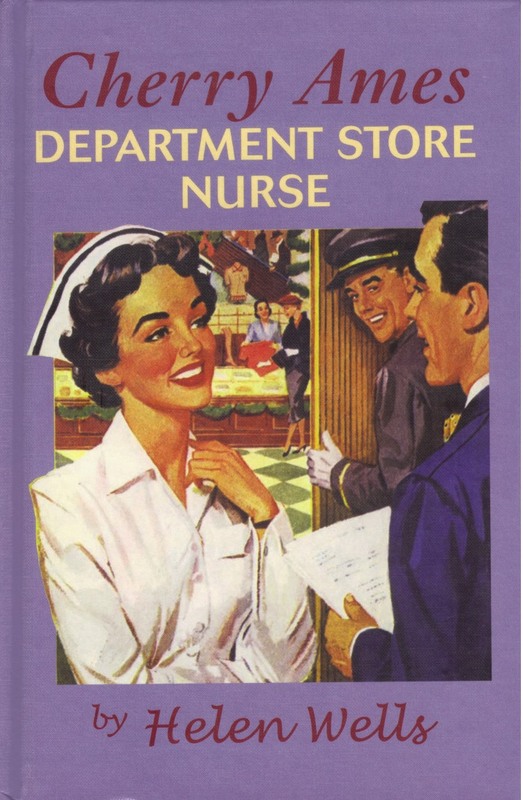 Cherry gets yet another job, this one as a nurse at a department store. She takes care of minor problems like headaches or cuts and also helps out with getting lost children back to their parents. The main part of the book deals with a guy named Mr. Dance who runs the antique shop in the store. Things start to go missing and one of the other workers in that section becomes the main suspect. Cherry, though, doesn't think it's her and works to find out who is behind the thefts. She ends up sort of like Nancy Drew as far as checking people and places out. The woman who is suspected of the thefts could lose her job, but Nancy uncovers things that call a lot of stuff going on in the store into question. The medical aspect of this book is actually pretty minimal; most of the book deals with the thefts.